On Saturday there were two ladies from Kishinev Bible Church who were baptized by the Pastor, Eugene Sologubenco. Due to the increasing difficulty of finding a place that will allow them to baptize, they were able to hold the ceremony in a local Baptist church. Eugene is leaving for the US next week and asked if anyone wanted to be baptized before he left. 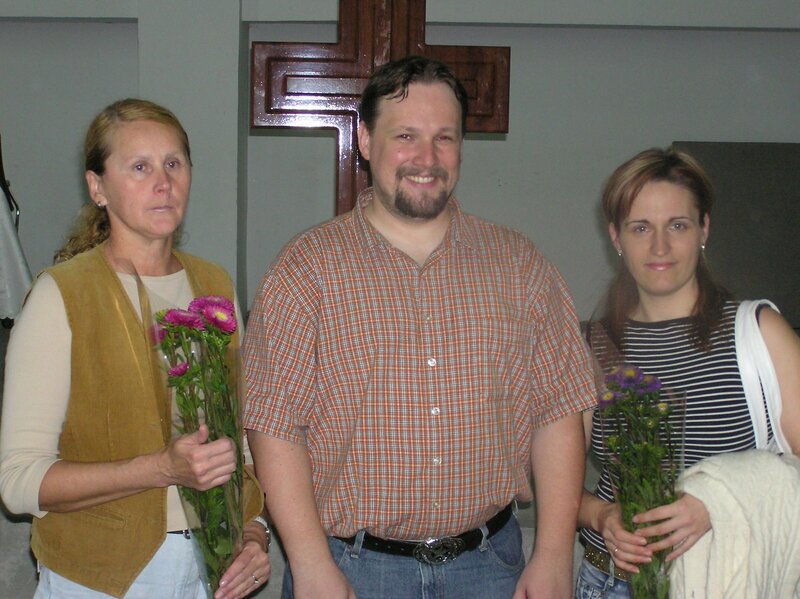 He will be gone for two months so these two ladies expressed their desire to follow the Lord in believer’s baptism. For some goofy reason the audio on my camera was not turned on so there is no sound. It is all in Russian anyway so you wouldn’t be able to understand it… unless you know Russian, that is. Just imagine the excitement and jubilation of the second lady as she came out of the water. It was a very touching moment. Well… CRUD! I tried to upload the video and it wouldn’t work. I’m going to try something else and see if I can get it posted. For now, here is a picture of Eugene and the two ladies.